The Twyford E200 Compact Washbasin is an ideal choice for commercial use and features a left hand tap hole and a generous washing area. Manufactured from high quality vitreous china, this practical and durable piece of sanitaryware creates a statement in any bathroom. 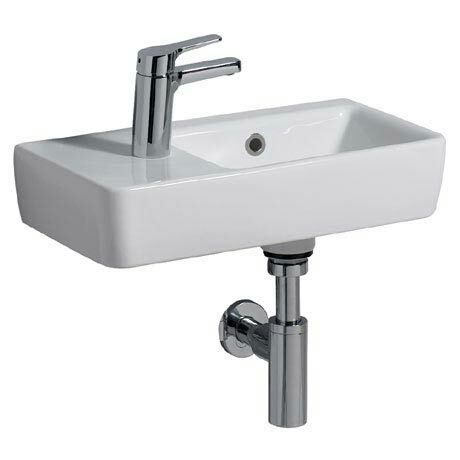 Combine with a bottle trap and mono basin tap to complete this contemporary look. Please note: bottle trap and tap not included.